This month, we’re focusing on #FeministParenting. 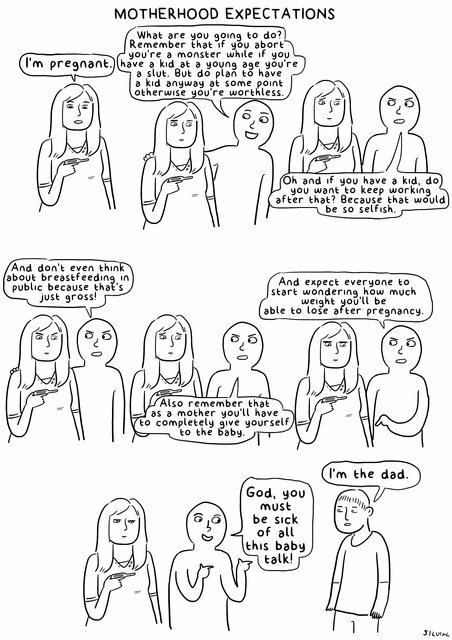 Comic artist, Silvia Carrus, tackles some double standards. Silvia Carrus is an Italian illustrator and comic artist, living in London. She loves to make comics about feminism and animals, and has recently self-published the comic ‘Feminist Cat’. See her work on Tumblr and tweet her @silviargh.